01. 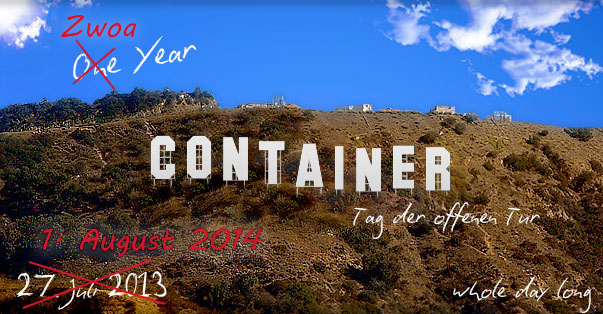 August 2014: Two Year Abarat Digital Container – Open Day. We celebrate the one year jubilee of our Abarat Digital-Studio and invite you to enjoy a day filled with cold beer, tasty food & good music at our headquarter in the lovely countryside. For description of how to get there ask per e-mail.